Transition Town Totnes has a wonderful programme called Skillshare, where people with a particular skill offer it for free to others as part of the process of helping the community re-skill and learn to be more resilient in the future. 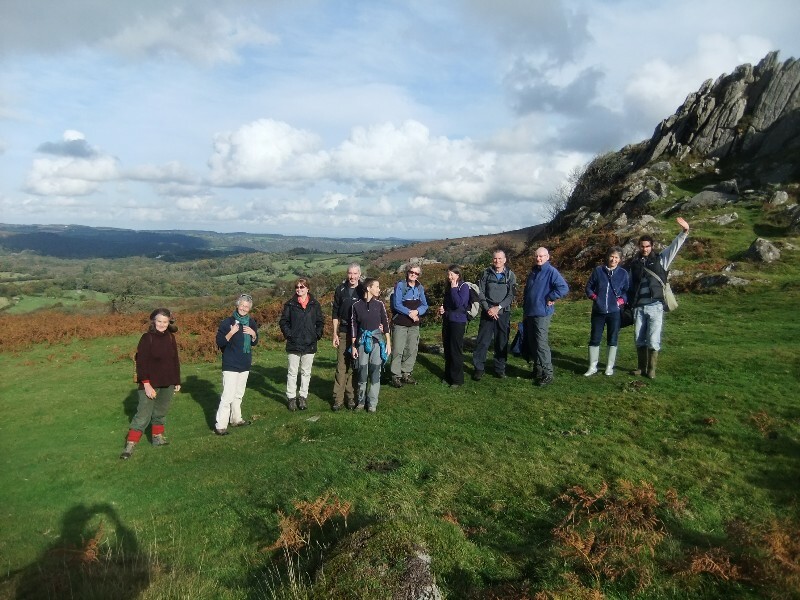 Everything from bike maintenance and willow weaving to sushi making and singing is on offer – see transitiontowntotnes.org/events/ for further information. 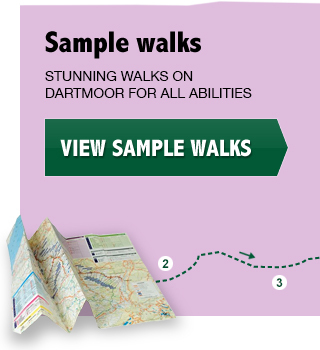 As part of this programme, I offered a walk to hidden corners of Dartmoor. 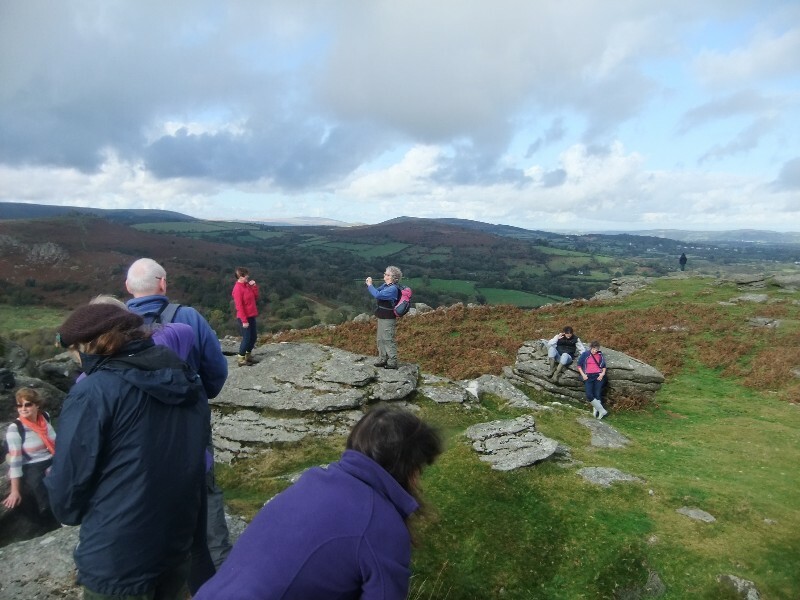 The walk began at Hound Tor, which is hardly a hidden corner, but we needed a car park to rendezvous in! We were a group of twelve, plus two dogs, and lucky to have a mild, windless day with patches of blue sky. We headed off south of the tor to visit the Bronze Age kist (burial site, see right) en route to the medieval village. I always try to include a visit to at least one Bronze Age site when walking on the moor as it brings the landscape alive to realise how much was going on there 4,000 years ago and how much of it still lingers in the stones and the earth -- if you only know where to look. We paused again at the medieval village to reflect on the point at which our ancestors switched from having round dwellings, as all the prehistoric ones were, to building the rectangular longhouses which are the traditional farmhouses we still see around the moor in various states of repair. We all agreed that the right angles most likely came with the Romans. We crossed the Becka on a small granite clapper bridge and climbed to the top of Smallacombe Rocks, where there is a marvellous view out over to Hay Tor and down into the Becka valley, particularly beautiful in the autumn as it is dotted with trees flaunting their autumn colours and branches covered with rowanberries. 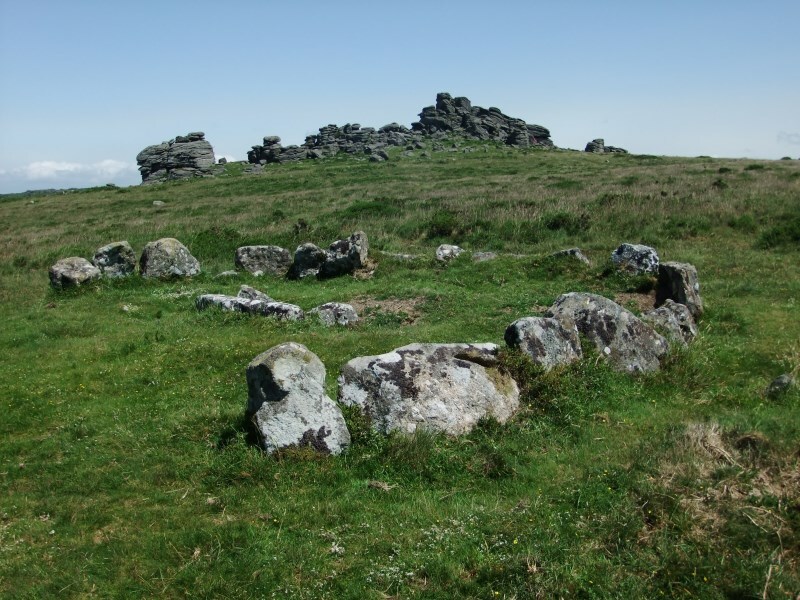 A few hut circles mark the site of a Bronze Age settlement right on the top of the hill, and we tried to work out why they would have chosen such an exposed place to live – maybe they felt the excellent view made up for the constant gusts of Dartmoor wind? 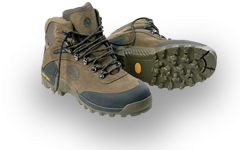 We progressed through time, contouring along the ridge to join up with the granite tramway which in the 19th century took massive blocks of stone from Holwell Quarry down to the canal at Teigngrace and thence to Teignmouth and round the coast to London. Following our discussion of the technical challenge of this operation (16 horses needed to pull the wagons uphill and no brakes going downhill), I’m now on a mission to try and find some old photographs or illustrations showing the tramway in action. From Holwell Quarry it was back down the hill, over the Becka again on my favourite natural bridge (a fallen tree with branches growing upward which make walking across easy) and picnic time in the sunny meadow by the rope swing. We had no children with us, but several of the group were young enough at heart to give the swing a go. It was a delightful walk and great company – I hope to offer another one through Skillshare in the spring.